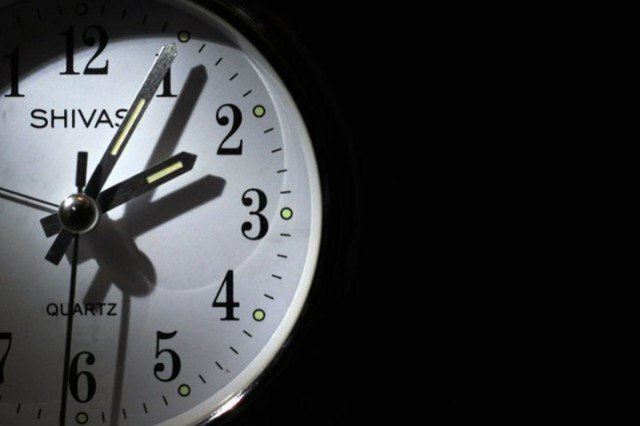 Tonight, Russia is turning back its clocks for the last time to permanently adopt winter hours. Three months ago, President Vladimir Putin has announced that Russia will permanently switch to winter time on October 26, 2014. The move will reduce the time difference between Moscow and most of Europe by an hour. Russia already has nine time zones – but now the area around the Volga River will run one hour ahead of Moscow, and the country’s remote Kamchatka and Chukotka regions in the far east will be nine hours ahead – giving Russia a total of 11 time zones. Correspondents say the aim is to make sure local time matches the rising of the sun as closely as possible. For the last three years, Russia experimented with keeping permanent summer time, but it proved to be highly unpopular with many Russians. The Soviet Union introduced Daylight Saving Time in 1981. In 2011, then President Dmitry Medvedev introduced measures to reduce Russia’s time zones to nine, and to keep summer time all year round. Russians put their clocks forward one hour but did not put them back in winter time. Changing times in the seasons disrupted people’s biorhythms and even upset cows, Dmitry Medvedev said. However, during winter many Russians in the north complained about living in darkness, where there are fewer hours of sunlight closer to the Arctic Circle. At a news conference in Moscow, representatives of the Russian Academy of Sciences said that Europe would now be closer as the difference between the capital and Greenwich Mean Time (GMT) would only be three hours. The deputy director of the Geography Institute, Arkady Tishkov, said he was against the latest change because he believed it was carried out to please advertisers as it would result in, he believes, more people watching television. When Crimea was annexed by Russia from Ukraine in March, Crimea’s time was adjusted to match Moscow time (GMT +4).